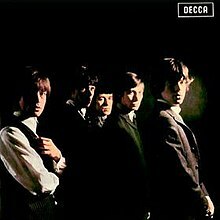 THE ROLLING STONES:EP: 1964: 4 STARS OUT OF 5 STARS:The four song debut EP by The Rolling Stones. If I had been around [i was around but only three} and had heard this when it came out- and was into rock and roll music this band would have struck me as one to keep an eye on. 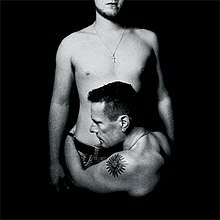 U2: SONGS OF INNOCENCE: 2014: 4 1/2 STARS OUT OF 5 STARS: The controversial album that was dropped into everyone’s ITunes without their asking. That was fine with me since I am a U2 junkie. Their long awaited album at the time finally released. A friend of mine who is even more into the group than I am listened to it once, said he didn’t like it and according to him hasn’t listened again. I like it and it sounds better with each listen. Is it as great as The Joshua Tree or Achtung Baby, or War- no but come on you can’t have expectations that high. I think this album will be one that is better thought of as time goes on. Favorite tracks: The Miracle, Every Breaking Wave, California, Volcano, Cedarwood Road, Iris… do not like Raised By Wolves and the sniffing. STEELEYE SPAN: HARK! THE VILLAGE WAIT:1970: 4 1/2 STARS OUT OF 5 STARS: Debut album. I was reading the latest MOJO and they had their monthly How To Buy feature on Steeleye Span- and this was ranked as their #1 album. I don’t own it so I listened to it on Youtube. I am familiar with the band from a few of their songs having been played on Celtic Crush. I really like this album- twelve songs- all traditional songs from one of the leading English folk groups of the time. They have a vast catalog I am going to have to dig a lot deeper. Also listened to the new edition of Celtic Crush with host Larry Kirwan- on The Loft 9am-noon every Sunday. Earlier in the week had listened to the first two hours of NEON BEAT- today listened to the third hour. I’m seeing U2 tomorrow night!